Growing stuff. It’s my fav. And there’s nothing more fun than growing it up trellises. 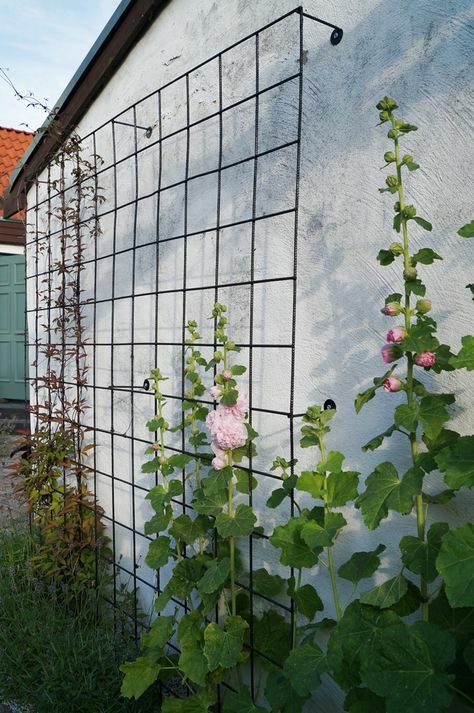 The best part about using a trellis (other than making your garden look spectacular) is that you’ll free up a significant amount of space. Because I work so hard to produce fantastic soil here in Arizona, I want to save precious square footage in the garden. I always love a minimalist or simple looks to my garden, and these are some of my absolute favorite ideas! Okay, okay, so maybe this wire silo is a tad on the big side. But c’mon, you gotta admit it’s epic! Those are lattice not trellis, lattice is vertical and trellis is horizontal, that’s what I know. 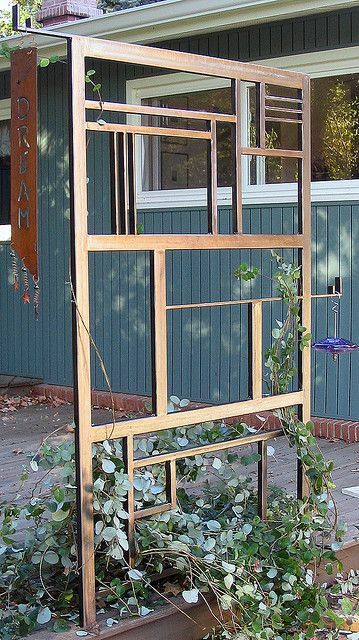 I enjoy your site and videos…one of the trellis’s you have on your video …Layering your raised beds…the one that you are filling a narrow bed with cardboard ..native soil…potting soil..azomite ..earthworm castings etc…there was a really neat trellis looked like it was for beans or cukes..you had two narrow beds with each side of trellis attached to beds…it was metal and had a neat little connection at the top…looks like you could walk under it..anyways I’ve been looking for one and cant find it and it wasnt in your list..thoughts where I might find one? I’m so excited about your blog. I hope to learn about you and your little price of paradise. When I ran across you I was in search of info on purchasing a goat. The more I read, I felt akin to your life. I’m in the high desert about an hour outside of L. A. I believe our climates are similar. About 6 months ago my husband and I purchased a ranch home on just under an acre. We’ve been focused on redoing the inside, but come spring, have high hopes for the exterior. We are painters by trade but have a very strong opinion that we are able to do anything if we set our mind to it. The possibilities are endless. We have a 15 year old at home and a 6 year old granddaughter who lives 2 blocks away. I have 4 degenerating disks in my back and neck as well as fibromyalgia. As 50 is creeping up on me I can feel my body wanting to slow down but am determined to give it a run for its money. Lol. I have fond memories of growing carrots and zucchini with my father as a little girl. I know this desert soil can produce but knowledge wise I’m starting at ground zero. We are a large dog family. My 26 year old daughter has 2 very large Great Danes, one of which is a rescue. The come to visit our home. My daughter has property as well and an interest in farming it.